The keel laying ceremony of the first “Doha” class corvette ordered to Fincantieri by the Qatari Ministry of Defence within the national naval acquisition program, took place today at Fincantieri’s shipyard in Muggiano (La Spezia). The ceremony was attended, among others, by Brig. Mubarak Al Sulaiti, Deputy Chief of the Flotilla, on behalf of the Chief of the Navy, welcomed by Angelo Fusco, Executive Vice President Naval Vessels Business Unit of Fincantieri. The corvette, which will be delivered in 2021, is designed consistent with the RINAMIL rules. She is a flexible type of ship capable of fulfilling different kinds of tasks, from surveillance with sea rescue capacities to being a fighting vessel, being about 107 meters long, 14.70 meters wide, with a maximum speed of 28 knots. The unit is equipped with a combined diesel and diesel plant (CODAD) and is be able to accommodate 112 persons on board, of whom 98 of the crew. Furthermore, the vessel is capable of operating high-speed boats such as RHIB (Rigid Hull Inflatable Boat) through lateral cranes or a hauling ramp located at the far stern. The flight deck and hangar are sized for hosting one NH90 helicopter. 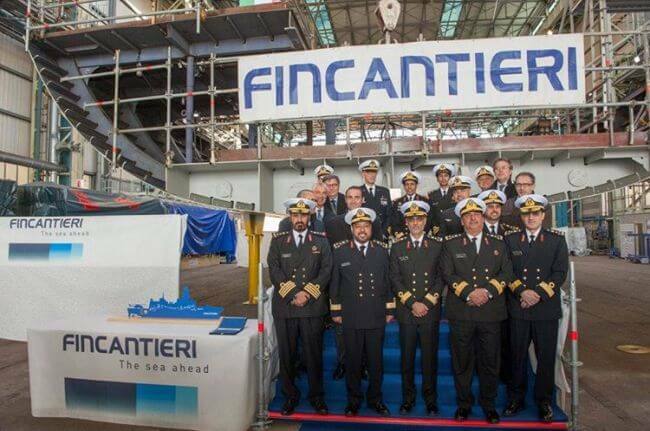 In the awarding of this prestigious contract signed with the Qatari Ministry of Defence in 2016, Fincantieri has prevailed over other competitors thanks to a project recognized as the most advanced and innovative of all. This was also achieved based on the experience gained by Fincantieri in the construction of high-tech vessels for some of the most prestigious foreign navies. 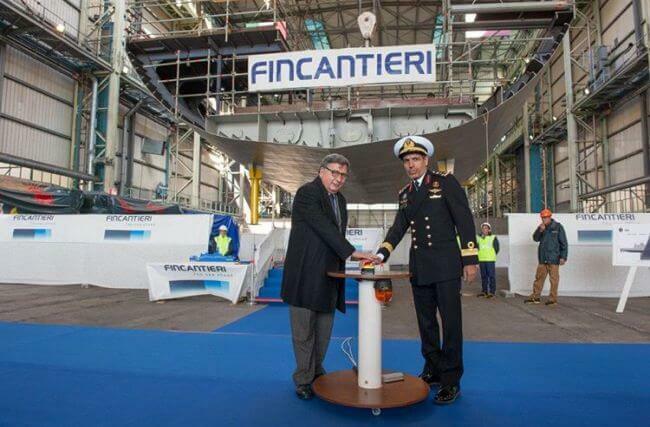 The contract, amounting for Fincantieri to approx. 4 billion euros, envisages the supply of seven surface vessels, of which four corvettes, one amphibious vessel (LPD - Landing Platform Dock), and two patrol vessels (OPV - Offshore Patrol Vessel) as well as support services in Qatar for further 10 years after the delivery of the vessels.